Massachusetts took the first step this week in its community microgrid grant program by seeking microgrid companies willing to partner with towns and cities on projects. Responses are due February 22 to the request for information issued by the Massachusetts Clean Energy Center. The RFI is a precursor to a request for proposals offering $650,000 that the MassCEC expects to release February 29. [Editor’s Note. The MassCEC has since delayed the RFP release date. 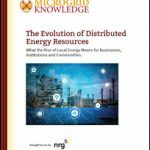 Check back on MicrogridKnowledge.com We’ll post the new date when it’s available.] The funds will go toward community microgrid feasibility studies. MassCEC is offering the assistance to help microgrid projects in the early stages so that they can more easily attract private investment. The state wants to help communities develop microgrids as a way to lower customer energy costs and improve resiliency. Projects also should help the state meet its greenhouse gas reduction goals, which are among the nation’s most aggressive. Through the RFI, the state is trying to get a sense of industry interest in developing community microgrids in Massachusetts. A somewhat similar program in New York, the NY Prize, resulted in awards to 83 towns and cities for microgrid feasibility studies. State interest in community microgrids heightened following the massive outages caused by Superstorm Sandy in 2012. In Massachusetts, companies (or institutions) will act as project leads that will partner with communities in the upcoming RFP. The companies must have the capacity to conduct a feasibility study or must contract with a consultant who can do so. A range of company types may participate, including microgrid project developers, technology vendors, manufacturers, engineering or design firms, software developers, financial institutions, lending partners, research institutions and nonprofits. Information from the RFI responses will be made public beginning February 29. 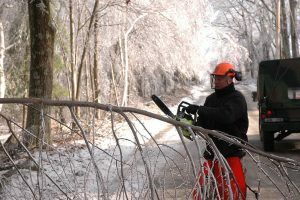 MassCEC is making the information public to help communities more easily assemble project teams. Strengthen the distribution system by addressing capacity concerns, providing black start capability, facilitating renewables integration, or providing other services that are meaningful to the local utility. More information about the RFI is available by contacting Maeghan Lefebvre at mlefebvre@masscec.com. The RFI is available on the MassCEC website. Learn more about community microgrid grants at “New York and Beyond: Advancing Microgrids Nationally with Lessons Learned in New York,” hosted by Microgrid Knowledge, May 19 in Manhattan.